NPTEL project was proposed for the first time in 1999 by Professor M. S. Ananth, Director, IIT Madras and funded by the Ministry of Human Resource Development, Government of India, has developed curriculum based course contents for more than 240 engineering courses in five disciplines at the undergraduate level. This initiative is meant to reach out to students and faculty by providing them access to NPTEL content and Online Certifications Courses. DIT University has taken a step forward towards the establishment of an NPTEL (National Programme on Technology Enhanced Learning (NPTEL)) local Chapter. The objective of this Chapter is to enable the students gain knowledge through enhanced video lecture and obtain certificates for courses pursued. It also makes them employable in the industry or pursue a suitable higher education programme. 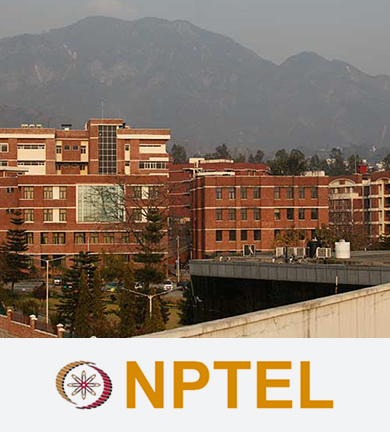 Dr Ritika, Associate Professor, Faculty of Computer Applications is nominated as SPOC of NPTEL DITU Chapter. One of the roles of SPOC is to identify mentors from the various departments’ who will motivate students to enroll for the respective courses , monitor the course work week wise, motivate students to submit assignments, to register for the exam and assist the students towards successful completion of the registered courses. Following is the list of Mentors for DITU NPTEL Local Chapter in various disciplines of Engineering & Science, Management and Humanities.